Supply and demand planning is absolutely key in delivering high quality service levels aligned to the customer offer whilst also minimising working capital, storage, handling and obsolescence. SCALA’s supply chain and inventory models combined with real expertise support our clients to identify and understand the optimum levels, to plan how to achieve these and then to support execution. Our methodologies include S&OP (which you can read about here) which is a process discipline bringing together sales & marketing ambitions, supply capabilities, customer needs and financial goals to balance and create a single, achievable strategy for the company. Our experience ranges from global implementation for a multi-national manufacturer to coaching SMEs in best practice principles. 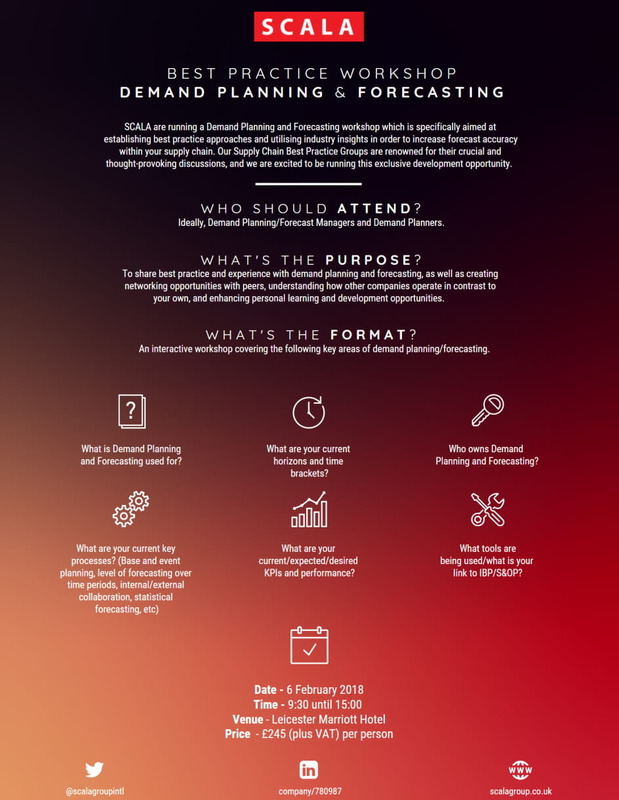 Using key Forecasting and Planning insights, SCALA can accurately assess Demand aspects such as time horizons and brackets, key processes (base and event planning, level of forecasting over time periods), your current expected KPIs, and more. This particular whitepaper was for a workshop SCALA held in early 2018, which was met with a high degree of interest and was praised for its efficacy. If you’re interested in what we can do for your Demand Planning, then please get in touch today. Combining knowledge experience as a senior partner for SCALA and as International Secretary General for CILT, Keith brings a strong emphasis to customer service within the supply chain.